Eastman Alum Miki Sawada (MM ’11) ​is a musician who is free-spirited in her pursuit of adventure, yet at the same time committed to fully realizing classical music’s capacity to nurture community. She recently completed “Gather Hear Alaska,” in which she traveled for three weeks in Alaska with a piano in a van. Accompanied only by a filmmaker, she gave 25 performances in community hubs such as cafes, bars, parks, and schools.​ As an educator and thinker, Miki finds ways to connect people with the power of classical music off of the stage. Miki was a resident musician and founder of the piano program at Music Haven, an organization that seeks to empower youth by providing mentoring and tuition-free music education to students from underserved communities in New Haven. Miki received her formal training in solo piano performance. She studied at Yale School of Music (Artist Diploma) with Wei-Yi Yang, Eastman School of Music (Master of Music) with Natalya Antonova and Northwestern University (Bachelor of Music) with James Giles. Meet the students in the first cohort of the newly offered M.A. Degree in Music Leadership! This degree is designed for musicians who seek to lead traditional and/or non-traditional musical arts organizations. This 14-month degree program uses an integrated approach to develop and hone both artistic and managerial skills for the next generation of music leaders. Because these combined skills are essential for the music leaders of today and tomorrow, this degree combines intense classroom study, courses from Eastman’s rich performance and scholarly offerings, and hands-on experiences through internships and mentorships. Renowned for their award-winning performances, the Fuego Quartet is devoted to the performance of both standard and contemporary works for all audiences. 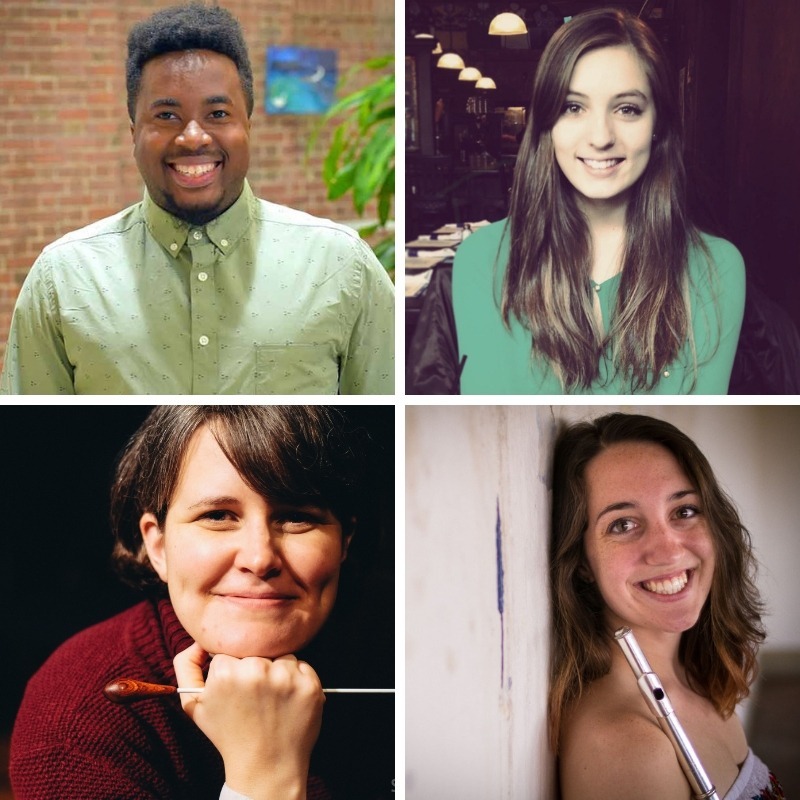 Founded in 2015 at the Eastman School of Music, Fuego is passionate about community engagement and education, striving to bring new sounds into familiar spaces and introduce music of all types to people with friendly, creative and informative performances. 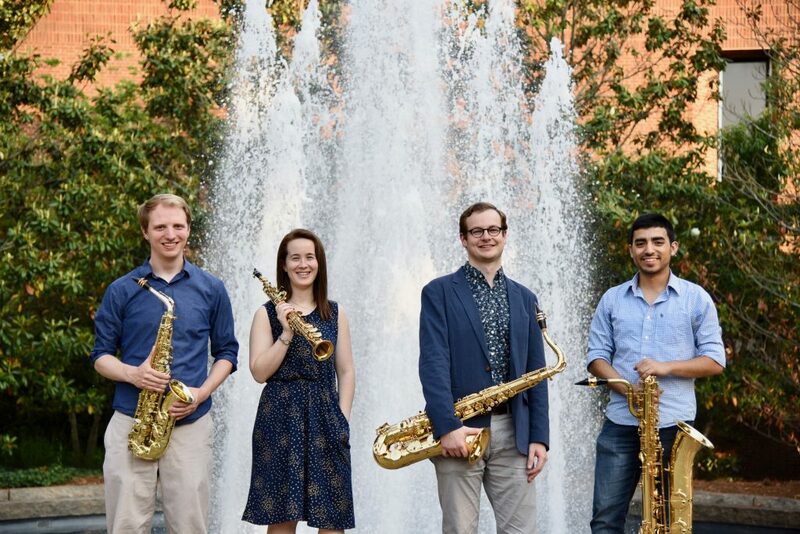 ALP Alums Erik Elmgren and Gabriel Piqué (both MM ’17) play alto and baritone saxophone in the ensemble, respectively. Eastman and ALP Alum Maria Finkelmeier (MM ’09) is a percussionist, composer, educator, and arts entrepreneur based in Boston, Massachusetts. Maria is founder and director of Kadence Arts and presents a solo program entitled “#improvadayLIVE” that fuses social media with electronics and improvisation. Maria recently received a Paul R. Judy Center Grant for her involvement with the multidisciplinary collective Masary Studios. Eastman and Arts Leadership Alum Rachel Roberts (BM, Flute, ’03) has just started her role as Associate Professor of Music Leadership and Graduate Degree Program Director within Eastman’s Institute for Music Leadership. She regularly leads workshops across campuses in the US, Europe, and Southeast Asia, and continues to perform in various chamber music settings, including as a member of the Essimar Trio. Rachel holds a Masters in Education from Harvard’s Graduate School of Education. ALP Alumnus Kevin Michael Holzman received his Doctorate of Musical Arts from the Eastman School of Music in 2017, where he studied with Dr. Mark Scatterday. 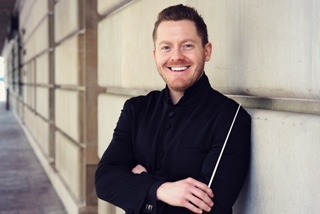 A Frederick Fennell Conducting Fellow and 2016 Recipient of the Walter Hagen Prize for Excellence in Conducting, Holzman has worked with professional ensembles including the United States Army Band “Pershing’s Own” and the Rochester Philharmonic Orchestra. Holzman was most recently appointed Director of Wind Studies at the University of Cincinnati College-Conservatory of Music. Tiffany Ng is Assistant Professor of Carillon at the University of Michigan. 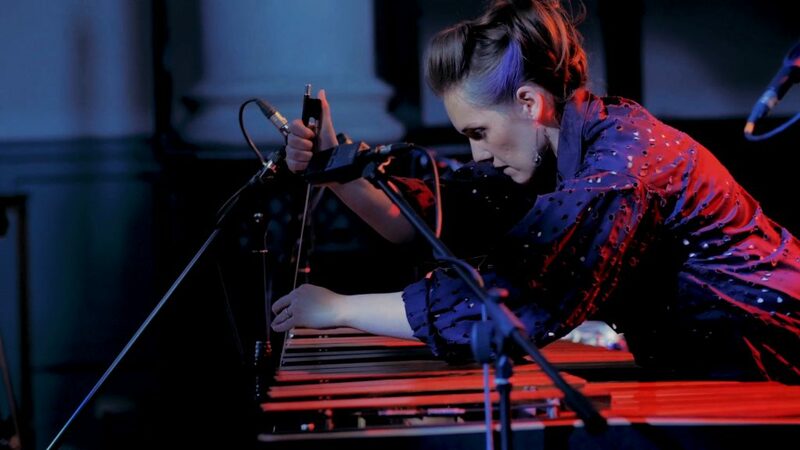 She has premiered over forty acoustic and electroacoustic pieces, including collaborative audience-interactive performances and data sonification projects, throughout North America and Europe. She is an advocate for cultural and gender diversity in new music. An ALP Alum, Dr. Ng holds degrees from UC Berkeley, Eastman (2008, MM Organ Performance), and Yale. Zachary Hammond (BM, Oboe, ’14) is the principal oboist of the Charleston Symphony Orchestra in South Carolina. 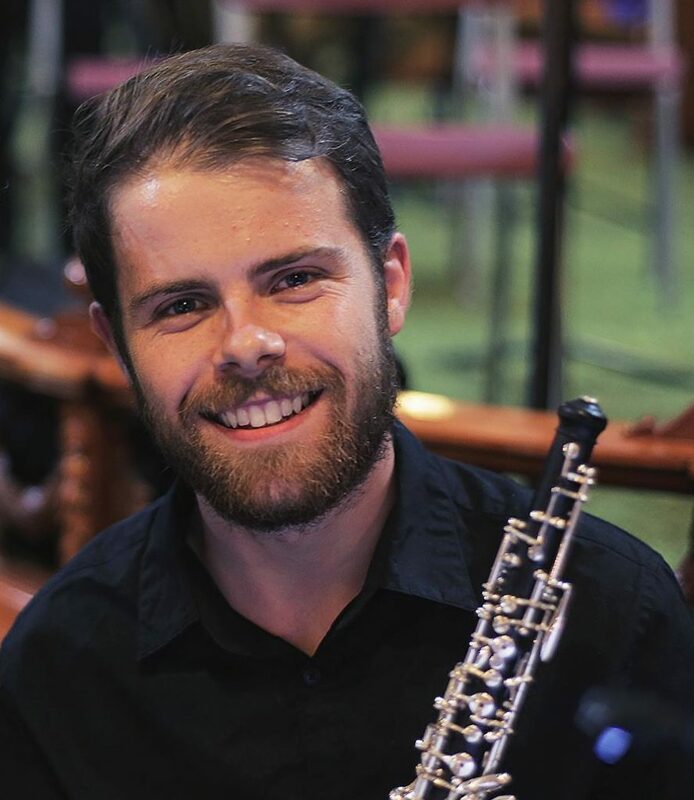 Prior to joining the CSO, Zac joined Symphoria as principal oboe, while he was still a student of Richard Killmer at Eastman. 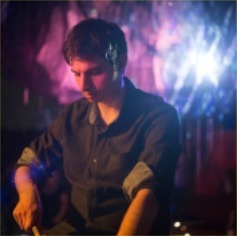 Zac has performed with many other groups throughout the country including the Rochester Philharmonic, National Arts Centre Orchestra and Charlotte Symphony Orchestra. 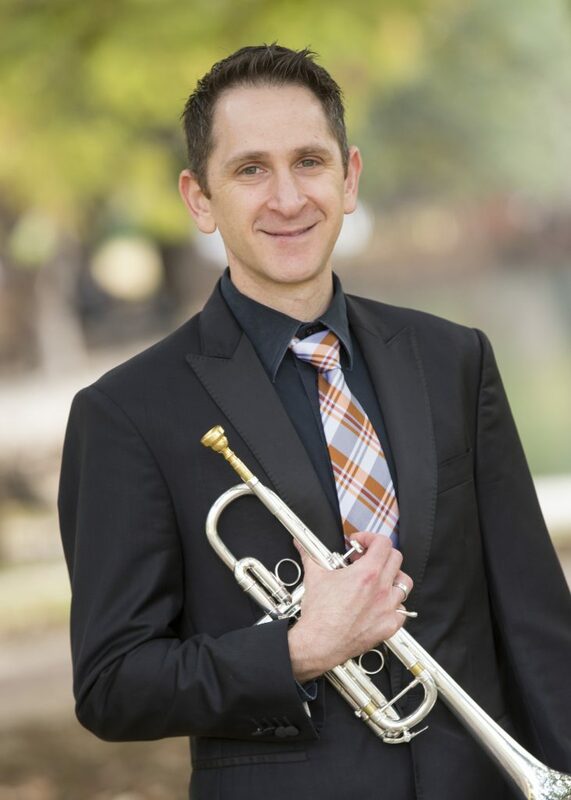 Dr. Ryan Gardner is Associate Professor of Trumpet at Oklahoma State University and the NY and LA Artist Coordinator for Music for Autism. His students have achieved success at conferences and competitions at the international, national and regional levels. As a Bach performing artist, Dr. Gardner actively performs as an orchestral, chamber and solo musician and provides clinics internationally. Dr. Gardner received his Bachelor of Music degree from the Eastman School of Music in 2003 and is an Arts Leadership Program alum.